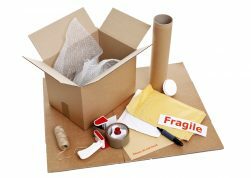 Packing Supplies That You Aren’t Using – and Should Be - MoveStar Inc. Using scarves, rolled-up socks, or even folded t-shirts to pad your belongings on the ride from your current home to your new location will protect them without costing you anything extra for moving supplies. Plus, it will get your wardrobe where you’re going, too! You probably already have storage bins located around your home. 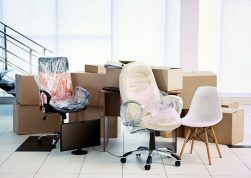 While you want to keep them free of clutter during normal days, it may pay to squeeze a few more items into each one before packing them into your moving vehicles. This way, you’ll need fewer disposable boxes – and everything will arrive safely at your new home. Why spend hundreds on padding and insulation for breakables when you can use your own towels and linens for transporting them? You have to take your linens with you to your new location anyway, so why not use them to pad your breakables along the way? The suitcases in your attic or closet are designed for travel – so, why not use them for traveling from one home to the next? Luggage is great for relocating all kinds of things and is likely already sitting in your home, waiting to be used. Most people have quite a few twist ties lying around their home. Look in your bread basket; most baked goods come tied with these useful little gems for storage. These ties can be used to bind cords and keep small pieces of electronics or other items together during the journey from your current residence to your new one, so put them to work. Still, need more moving supplies or ideas? Contact us here at Move Star for all the helpful hints you need to move smoothly.